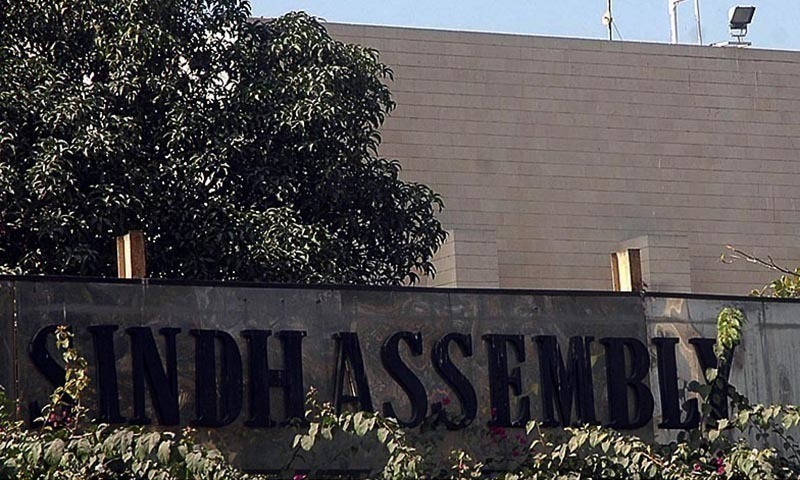 KARACHI: The Sindh Assembly has made it mandatory through an amendment to the Sindh Mental Health Act, 2013 that a person who attempts to kill himself or is accused of blasphemy be examined by a psychiatrist and given treatment if found suffering from a mental disorder. The legislation was part of five of the six government bills passed by the house on Friday when it reassembled after a two-day hiatus. Sindh Parliamentary Affairs Minister Dr Sikandar Mandhro, who tabled all the bills, referring to the Sindh Mental Health (Amendment) Bill, 2015, said providing relief to a person who attempted to commit suicide or was accused of blasphemy was something that a court would decide. The bill merely made their assessment by a psychiatrist mandatory and courts could decide whether or not to reduce their sentence if the accused was found to be suffering from a mental disorder, the minister said. Another legislation passed on Friday was The Sindh Civil Servants (Amendment) Bill, 2015 that provided a legal cover to the Sindh government to its various modes of appointments including by transfer, or absorption, deputation and ancillary matters. The other bills, which were passed unanimously one after the other, were: The Sindh Coastal Development Authority (Amendment) Bill, 2015, The Sindh Finance (Amendment) Bill 2015, and the Sindh Sound System (Regulation) Bill, 2015. The coastal development bill pertained to membership to the newly created district Sujawal in the governing body of the Sindh Coastal Development Authority. The finance bill amendment was aimed at increasing revenue by revising the rates of royalty and cess on coal. In the bill, the words ‘Rs10 per metric tonne’ were replaced with ‘Rs50 per truck per trip’. The sound system bill prescribes punishment up to six months and a fine not less than Rs20,000 and up to Rs50,000 for using sound system to cause public nuisance, spreading hatred material for incitement of terrorism or commission of any offence in the province. The only bill whose consideration was deferred to the next assembly session on a request of the opposition pertains to The Sindh Information of Temporary Residents Bill, 2015. The session that began at 10:50am with Speaker Agha Siraj Durrani in the chair was adjourned at 2:10pm after the passage of the five bills, deferment of the sixth bill to Monday, call attention notices of lawmakers and the question hour. In response to a privilege motion of Pakistan Muslim League-Functional lawmaker Nand Kumar related to non-implementation of a resolution on gas supply to district Sanghar, Dr Mandhro told the mover that the Sindh government and the assembly had discharged their obligation by writing letters to the relevant authorities. He said the motion was submitted against the Sindh government that did not merit to be taken up as such. On the advice of the minister, the mover withdrew this motion. In reply to a call attention notice of PML-F lawmaker Mehtab Akbar Rashdi, Dr Mandhro assured the house that the government was taking steps to solve problems being faced by wheat growers. By April 7, he said, the government had opened 398 wheat purchasing centres. So far, he added, 33,453 million tonnes of wheat had been procured while the figure was 46,000 million tonnes last year. The adjournment motion of leader of the opposition in the Sindh Assembly Shahryar Mahar could not be taken up for want of presence of the mover. Responding to a call attention notice of PML-F lawmaker Nusrat Sehar Abbasi, Local Government Minister Sharjeel Memon informed the house that the union councils were overstaffed when the local bodies were in place while the finance department the fund provided to each union council by half. This caused non-payment of salaries to UC employees, he said, explaining that the government had asked release Rs200,000 a month to each UC which would help in settling dues of the employees. In response to a call attention notice of Muttahida Qaumi Movement lawmaker Heer Ismail Soho, Dr Mandhro rejected the Indus River System Authority (Irsa) claim about the release of 122 million acres feet downstream Kotri. He said this had never happened over the past two centuries. 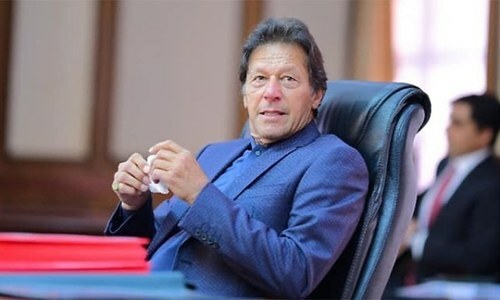 He quoted figures of the water flow downstream Kotri from the years 2000-01, 2001-02 and 2002-03 as only 0.745 million acre feet, 1.9MAF and 2.15MAF, respectively. The minister said the low amount of water released downstream Kotri affected marine life and the overall environment with the millions of acre land being eroded due to the rising sea level. He said the wheat crisis was created due to the import of 0.7million tonnes of wheat by the federal government from Ukraine without taking Sindh into confidence. 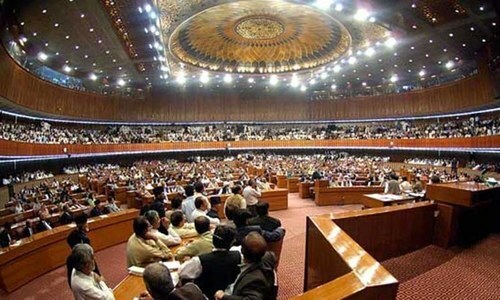 The call attention notices of PML-F lawmaker Shahryar Khan Mahar and MQM legislator Mohammad Hussain Khan were not taken up due to their absence from the house. An unpleasant scene was witnessed when PML-N lawmakers Ejaz Shah Shirazi and Amir Haider Shirazi insisted that they be allowed to speak on their point of order. Mr Ejaz tried to press his point from the seat of PML-F lawmaker Nand Kumar. As his mike was not on, he raised his voice offending the speaker who advised him to take back his seat. The lawmaker was reminded that he could be allowed to speak on his point of order regarding corruption in Thatta district in the projects of works and services department only after the completion of the business on the agenda. 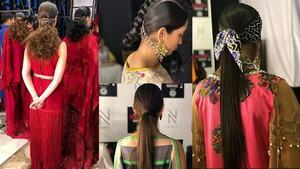 Making a statement under Rule 261 of the Rules of Procedure of the Sindh Assembly, Minister Manzoor Wasan informed the house that he had been minister for works and services from 2009 to 2011 only. This was the first time that PPP minister had been holding the portfolio, he said, recalling that earlier this ministry had been headed by mostly PML-F lawmakers, including Pir Sadruddin Shah Rashdi and the present Pir Pagara. And how about doing a similar assessment on the person making the charge? Thank you. It is a step in the right direction. Does this extend to blasphemy of all religions....or only the majority religion??? If not, you people have goten used to regarding minorities as second-class citizens and your government is part of this discrimination. other provinces should learn from it. good job sindh assembly.